One of the most spoken-about food revolutions is here. Fazer will be the first in the world to introduce insect bread to grocery stores. The novelty is called Fazer Sirkkaleipä (Fazer Cricket Bread). The first hand-baked cricket breads will become available in eleven Fazer in-store bakeries in Finland on Friday 24 November. Insect food is a significant global phenomenon that is about to land in Finland, too. 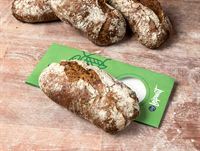 Since last summer, Fazer has been developing insect bread to be included in the assortment of its in-store bakeries. The ban on selling insects as food was unexpectedly released in Finland on 1 November 2017. Fazer Bakery is an innovative actor that constantly revamps its bread category by introducing new kinds of grain and plant based taste sensations to consumers. 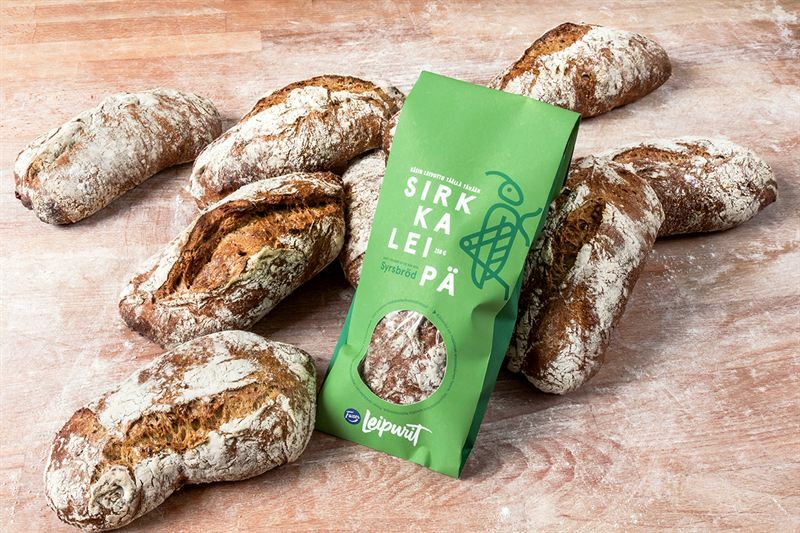 “According to the “Suuri leipätutkimus*” survey on bread conducted in Finland, good taste, freshness and domestic origin are the main criteria for bread. Finns are known to be willing to try new things, and the Fazer Cricket Bread is an easy way to get a feel of food of the future. Also retail immediately announced they would include it in their assortment,” Markus Hellström goes on to say. Currently, there is not enough cricket flour available for nation-wide sales, so the novelty will be brought to the market in stages. The aim is that Fazer Cricket Bread would be available in all 47 Fazer in-store bakeries in Finland in the next wave. Fazer in-store bakeries have a unique assortment. Dough is made on the spot from flour that comes from Fazer’s own mill, and the dough is left to rest for a long time. The scent of fresh bread tempts more and more Finns, since the number of in-store bakeries is significantly growing. The crickets contained in cricket bread are dried and ground into powder that is added to flour. One Fazer Cricket Bread contains 70 house crickets. Crickets are light; they compose three per cent of the weight of the bread. According to Juhani Sibakov, everything points in the direction that, in the future, insects will be an important ingredient in food also in the western world. “Mankind needs new and sustainable sources of nutrition. According to research, of all the Nordic countries, Finns have the most positive attitudes towards insects**. We are looking forward to seeing how our novelty bread is received”, Juhani Sibakov goes on to say. The Fazer Cricket Bread is one of Fazer Bakery’s future products where flour is replaced with nutritious raw materials. The same philosophy applies to Fazer Root Vegetable Bread and Fazer Seed Bread, where one third of the flour was replaced by vegetables and seeds. Freshly baked Fazer Cricket Bread can be bought in eleven Fazer in-shop bakeries in Finland on Friday 24 November. Fazer is an international family-owned company offering quality bakery, confectionery, biscuit and grain products as well as food and café services. Fazer operates in eight countries and exports to around 40 countries. Fazer’s mission is Food with a purpose. Fazer’s success, ever since its establishment in 1891, has been based on the best product and service quality, beloved brands, the passion of its skilful people and the Group’s responsible ways of working. In 2016, Fazer Group had net sales of 1.6 billion euros and nearly 15,000 employees. Fazer’s operations comply with ethical principles that are based on the Group’s values and the UN Global Compact.